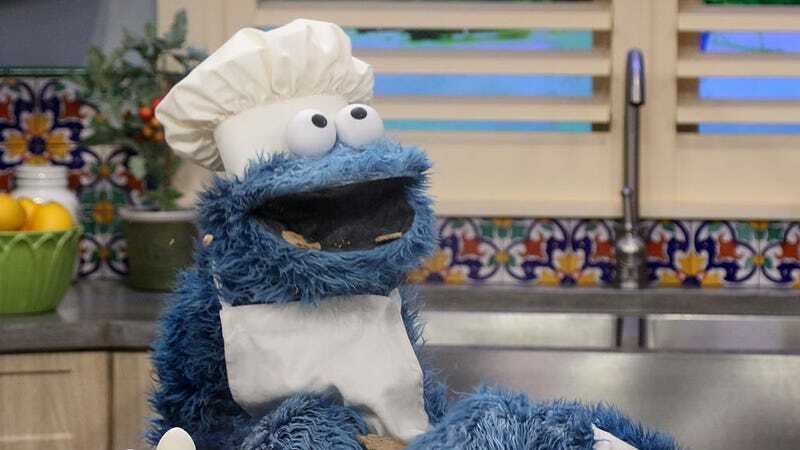 Cookie Monster—the monster, the myth, the legend—has, until now, been a shaggy blue enigma. Aside from his relentless drive for delicious baked goods and the numbers sung in his emphysema-inflected speech, ol’ Cookster has kept his secrets close to his crumb-covered chest. All of this has changed, however, with a recent Reddit Ask Me Anything (AMA) wherein Cookie Monster braved the whims of the internet’s curiosity. Proving his identity via a screenshot of his paws on the keyboard, the Muppet set about answering whatever was asked of him. The questions probed deep into the obsessive mind hidden behind Cookie Monster’s vacuum smile and twin googly eyes. But he answered them all with aplomb. Not all of the questions were softballs. Though Cookie Monster is simply an ambassador of unbranded treats, he was soon hit up for advice on how to balance the joy of snack-eating with a healthy lifestyle. Unfazed, he replied with excellent suggestions. The Monster contains multitudes. Read the rest of the AMA to learn more of the Good Monster’s deepest secrets. And, if you have lingering questions yet unanswered by the sweet blue beast, don’t despair: Cookie Monster gave a very Cookie Monster assurance that he’d be back to answer more if at all possible.